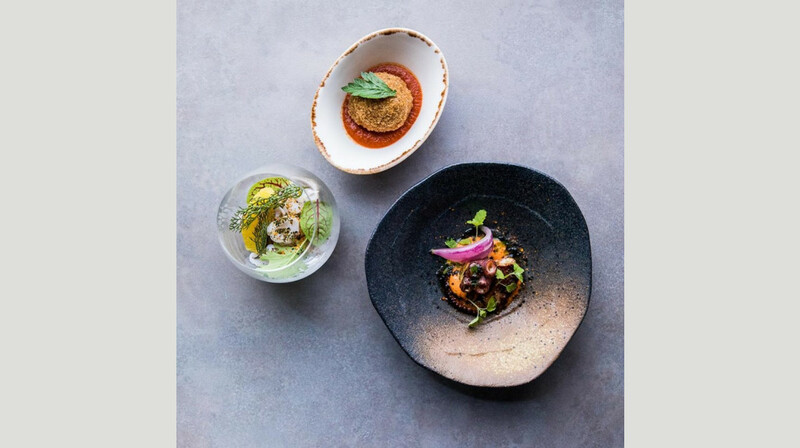 Tasty cuisine by an award-winning chef is on the menu at Olio Kensington Street—you don’t want to miss out on this dining experience. 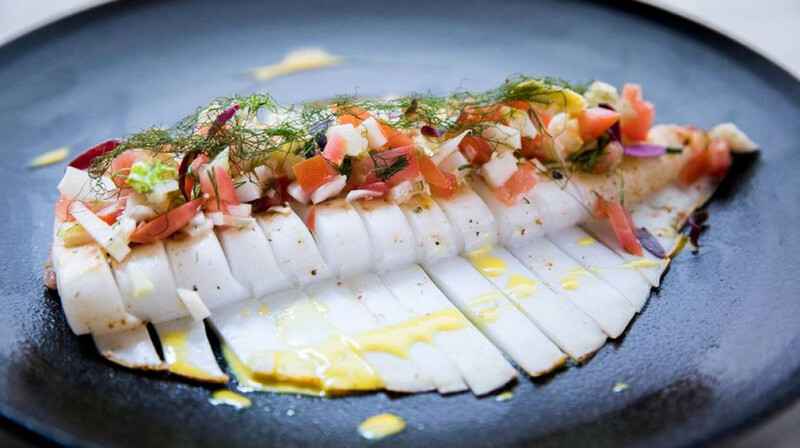 Sicilian-born Lino Sauro is the master behind the food at this trendy Sicilian restaurant. 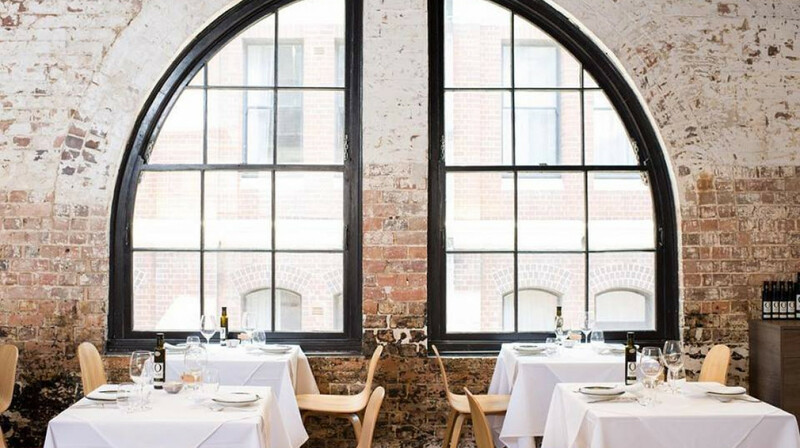 Located in a beautifully restored Chippendale building, the venue marries a nod to the past with a contemporary indoor dining room and stunning rooftop garden. 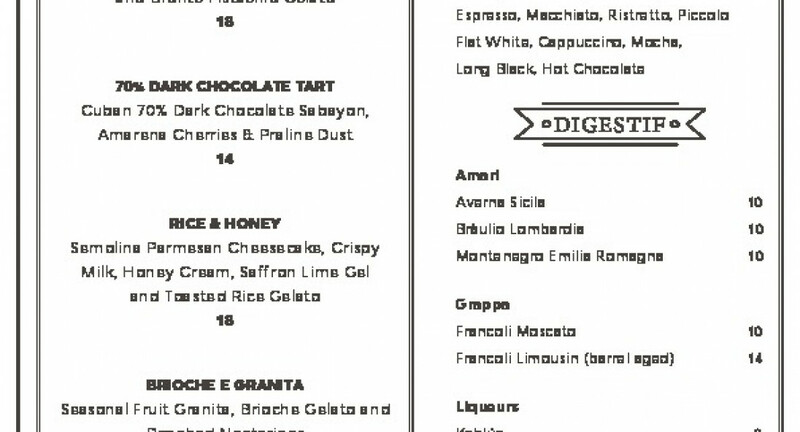 The menu very much reflects this ‘old meets new’ approach. 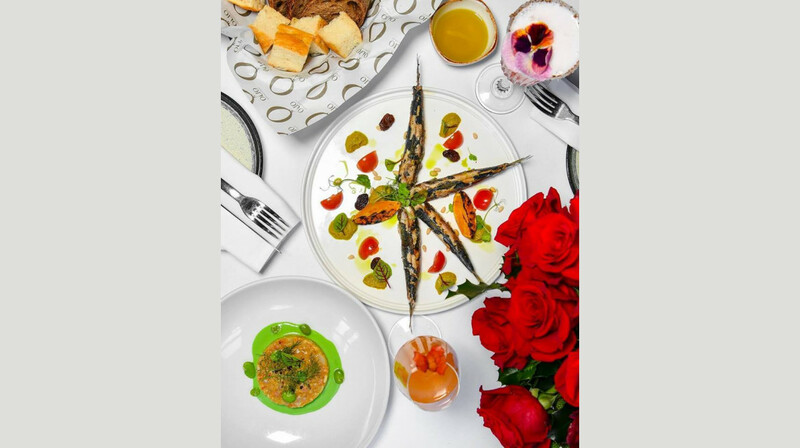 All dishes are made using olive oil sourced from Lino’s family’s Sicilian farm, and use a range of fresh ingredients. 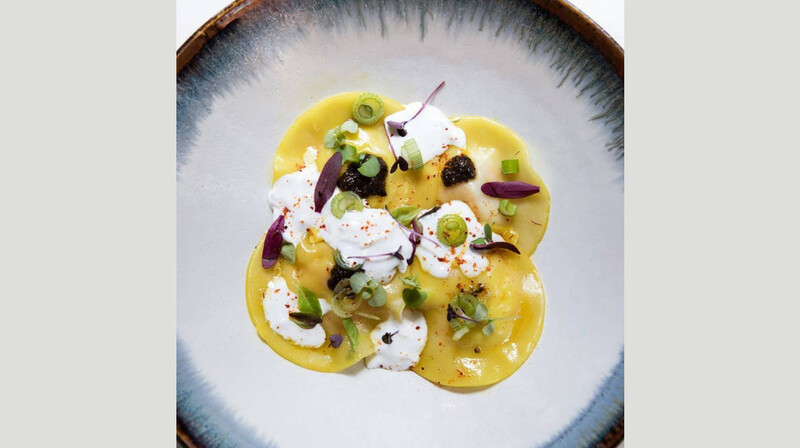 Start your meal with a charred citrus Fremantle River octopus and follow it up with your choice of a range of enticing pastas, including the homemade ravioli with king prawns, black truffle and burrata sauce. 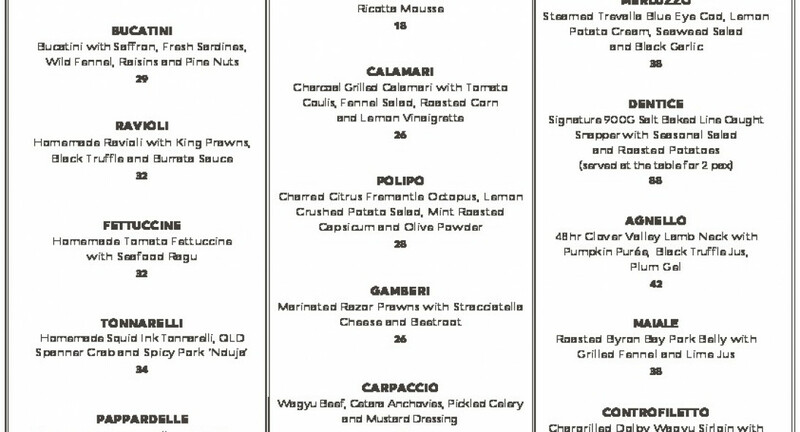 Of course, a variety of meat and fish are on offer too, with options including grilled wild snapper and 48-hours lamb neck. 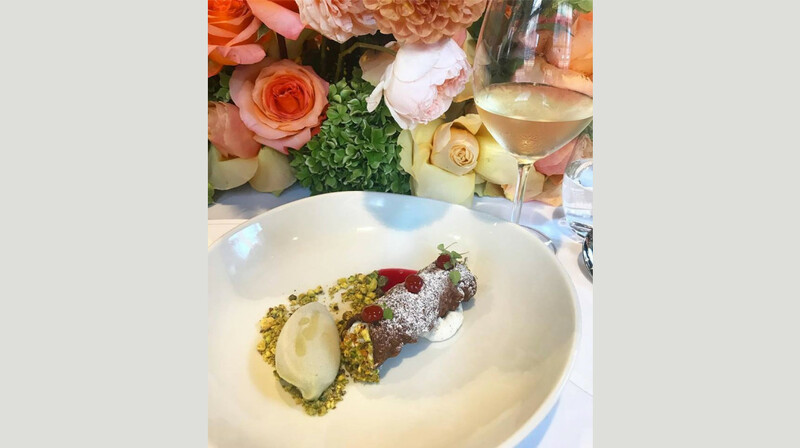 Dessert is not forgotten at Olio Kensington Street, with everything from the more traditional Cannolo Siciliano to the dark chocolate tart. 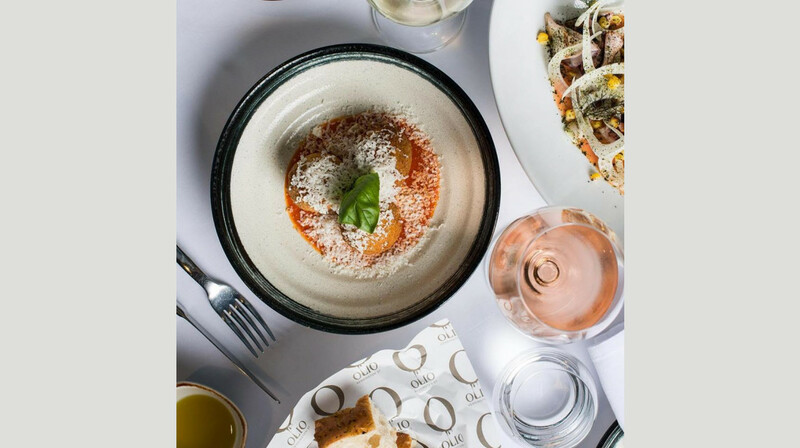 If you’re after a decadent and memorable Sicilian meal served in gorgeous surrounds, you can’t go past Olio Kensington Street. Everything was perfect. Food was gorgeous and service was excellent. It's such a gorgeous room, you're happy to step into it - huge windows and a great industrial feel. It's also far less noisy than you might expect/fear. We looked closely and think the have painted baffling in the ceiling to keep the room quieter, so you can actually hear the person next to you speak! So the ambiance is great. How was the food? Delicious! We ordered several pasta dishes and meat dishes. Everything we ate was well cooked, tasteful and nicely presented. The staff were terrific, quick considerate service. I will definitely go again and feel comfortable recommending to others. This is a high end Italian restaurant, and not for a quite bite. It's more to be savored and priced accordingly. We loved the experience at Olio. The food was delicious and the service was top notch. Will definitely come back. It was a superb evening. Olio's has got to be my new favourite restaurant as everything about it was above and beyond my expectations. The service was prompt, friendly and welcoming, while the food and cocktails were spectacular and demonstrated master craftsmanship. Additionally, the restaurant itself has such a warm/ industrial feel to it, a really gorgeous atmosphere and is definitely worth every dollar we spent! Big thank you's to everyone there for making it such a memorable experience! Food was amazing! great flavours, pasta was made and cooked perfectly. Great experience with amazing service. Food was really nice - stand out dish was the lemon tart for dessert. Would definitely recommend. Amazing food, exceptional service, great atmosphere. The food was very nice, albeit the portions were smaller than expected. The service was quite nice, with a wonderful waitress who made sure our evening went without a hitch. First First table experience, but second time dining set Olio. Really happy to see the place quite busy on a weeknight, which it totally deserves. The calamari and swordfish were excellent. The head chef was walking the room that night, an obviously talented man and morover very smiley (I am sure a rare trait amongst head chefs). I can't get over how good the bread is at this place. I believe it's baked in house. Also sampled the two Sicilian white wines by the glass, they are both great. I just wished someone had fixed our table foot which was wobbly. I will certainly return to Olio! I had an incredible experience. The food was sensational and our waitress gave us a fabulous dining experience, was attentive and very pleasant. The quality of the food is outstanding and I will be coming back to dine again soon. 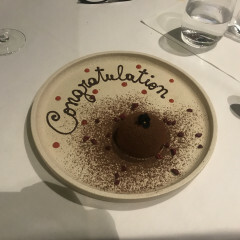 It was a special occasion for my brother passing all his final exams for uni and on the desert they put congratulations. It was so sweet and very caring. The food was delicious and staff were very attentive. The only issue was the waitress did not record the first course choices correctly and thought we were sharing oysters(which i don't like at all) and forgot to place my order for prawn ravioli. Upon rechecking, the missed entree eventually arrived and it was absolutely yummy. We had the whole baked fish in salt for main course at it was truly sumptuous. The whole spectacle of serving the fish itself was observed by all patrons and we were amazed at how tender the fish was this way. We thoroughly enjoyed the meal, just the little hiccup with ordering and it won't put us off attending again. 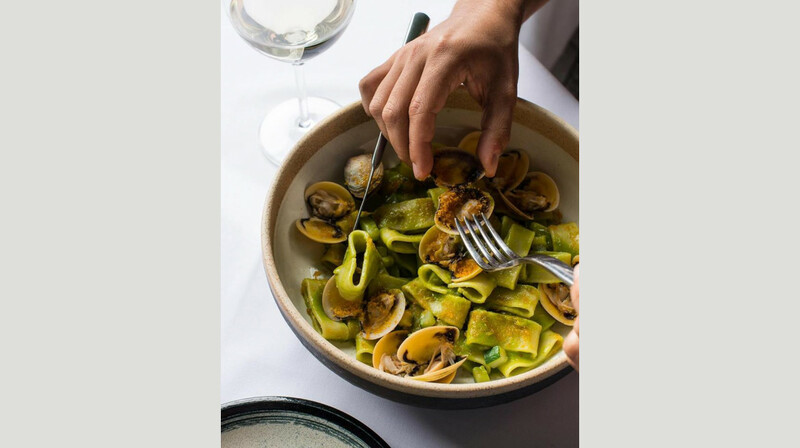 'Olio' is a must for those who love Italian food, just a suggestion - perhaps there could be more meat dishes (maybe as daily specials) as the mains are heavily weighted to seafood options? Excellent overall experience. Tasty food served with thought and care. Classy venue with equally professional staff. Thank you Olio for a great lunch! Will be back. Fabulous service from the moment we entered. It's lovely going to an Italian restaurant where they speak Italian. Had just picked up my daughter and fiancee from the airport and discovered they had started learning Italian. We each had a different wine and our waitress could describe each of them. The food and service was excellent. Great having olive oil on the table, just like they do in Italy. Only wished they had a better gluten free dessert. 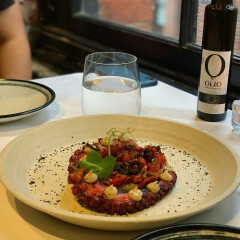 Sensational experience at Olio. The menu was Italian with an emphasis on Sicilian regional fare which includes lots of seafood . We couldn’t fault the food or the service it’s a 5 star experience. Really great experience at Olio! Went as a group of four and shared three starters (Burrata, Polipo & Arancini), two pastas (Raviolo Norma, Caserecci), two mains (Salt Baked Barramundi, Controfiletto Wagyu) and two desserts (Cannoli & Tiramisu). Beautifully prepared dishes & everyone enjoyed the food immensely. 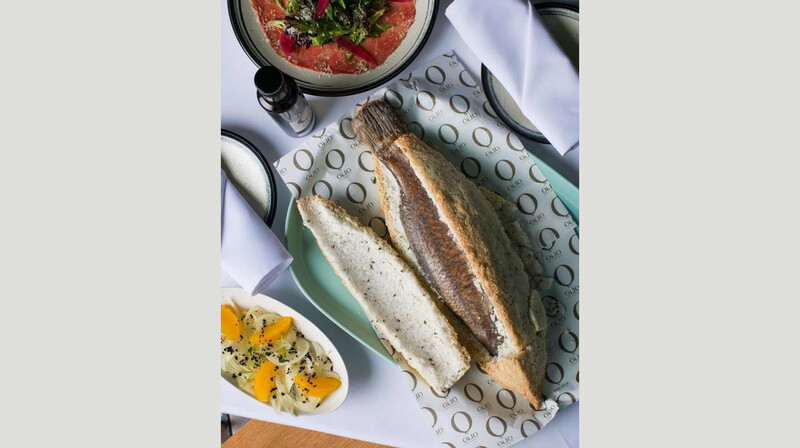 Service was friendly & professional: the salt-baked whole Barramundi served at the table was a highlight - the delicate flesh simply served with their signature blend olive oil was divine. Only small negative was I tried to contact the restaurant via their online contact form & also via phone to confirm details of the booking but didn’t receive a reply or callback. Was able to clarify as soon as I arrived at the restaurant however. Overall, would recommend without hesitation for the great food, smart but not stuffy decor & professional service! Just book it, you won’t regret it! This was my first visit to Olio (and using First Table). 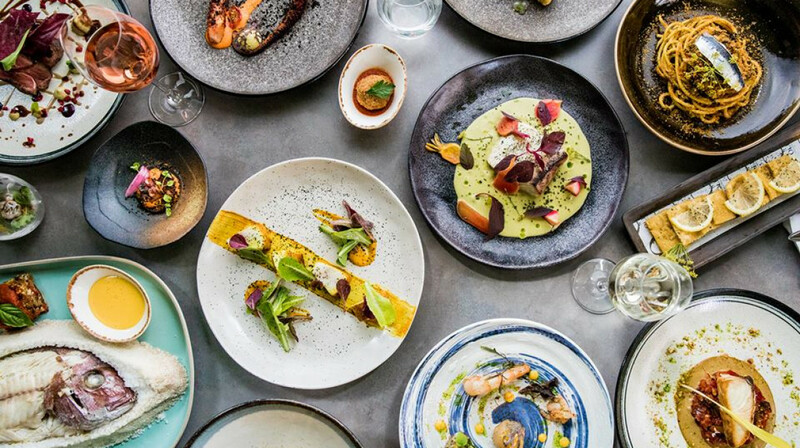 I selected Olio Kensington Street for its favourable rating (#4), and it lived up to that expectation. The venue is stylish and inviting. The staff were knowledgeable and made recommendations to our preferences. The food is beautifully presented and simply delicious. The wine we selected wasn’t well chilled, and they told us that, and gave us options to wait until food arrived or choose another. Loved the attention to all detail. 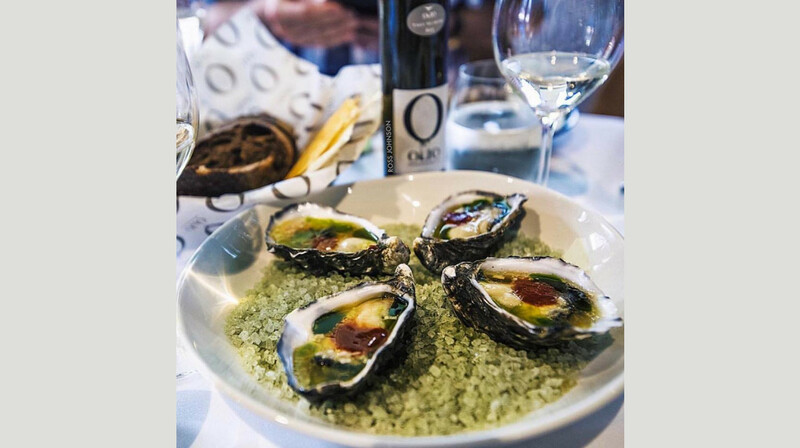 We had a lovely evening and enjoyed our experience at Olio Kensington Street. Olio Italian for Olive Oil. 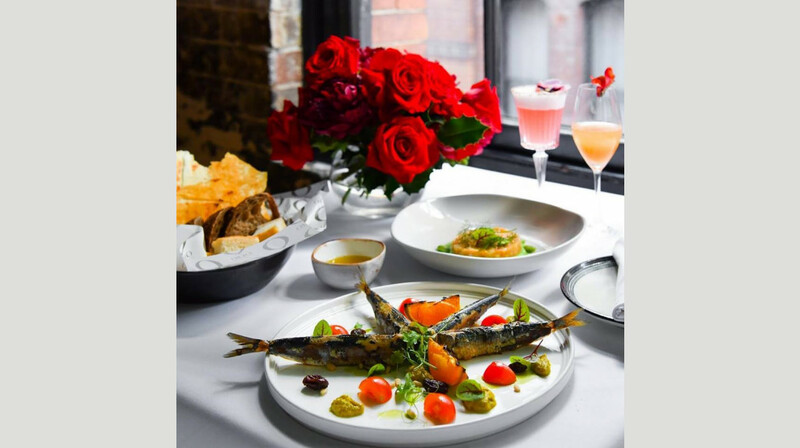 Located in beautifully restored The Old Rum Store, serving Sicilian Cuisine in heart of Kensington Street Precinct. waitress who look after my table, Jana ( sorry if I spell your name wrong), she is full of knowledge of what she is selling. It’s a top class service! Came just pass 18.00pm, service was attentive, however when it’s peak hour around 7.30 pm, I feel like the are short of staffs, since I only saw 3 girls running the food to cater almost full house customer. Complimentary bread with nut mascarpone and compressed cucumber. Garden lemonade ( house made ), taste so refreshing, garnished with mint and cucumber. Olio Spirits also a very nice, although i like garden lemonade better. spicy charred Fremantle octopus, lemon crushed potato salad, mint roasted capsicum and bottarga mayo. Love how tender the octopus was, goes well together with potato and minted roasted capsicum. I do like the bottarga mayo, but to my liking a little salty. Fresh “vannella’ burrata cheese, beets confit, pickles& dried fruit and almond pesto. This dish looks deceptively simple but deliver a very nice flavour. Everything comes together and still the burrata is shining through as centre piece of the dish. With homemade squid ink, QLD Spanner crab and spicy pork Nduja. This egg pasta basically similar to spaghetti shape but in my observation just a little square shape. Love the spiciness from the pork salami on the sauce that gives a profile background complimenting the squid ink and the spanner crab meat. It’s a tasty dish, for sure! The next dish, Ravioli, with scarlet prawns filling, black truffle and burrata sauce was a talking point. Pasta perfectly cooked, the prawn and the black truffle was amazing combo and the sauce.... it was magical! I’ll comeback just for the ravioli, I promise you guys! 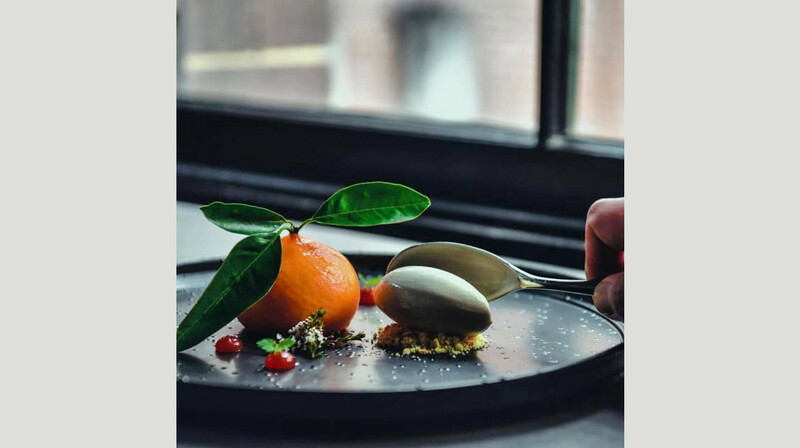 Seasonal Fruit Granita, Brioche Gelato and poached nectarine looks amazing! Brioche gelato is a unique flavour, unfortunately the nectarine were mushy, I think poached too long, and sourness from granita flavour just hit a your palette and give this sensational refreshing after taste. Mouse tart, milk ice cream and mulberries ... Oh.. my new favorite dessert. Flavour combination was perfect! Not too sweet, and the milk ice cream was surprisingly good and the tart base was just soft and crumbly. Also petite four for tonight was chocolate cake, it was light yet yummy! We had the most memorable dining experience at Olio last night. From the moment we were welcomed till the moment we were farewelled at the door. Service was very warm and friendly. We ordered staters, pastas, mains and side and dessert. Every dish was well presented and delicious. The timing in between courses was just right. Booking on First table was easy. They even gave the Birthday celebrant a tiramisu cake with candle and song! And a small bottle of Olio olive oil to take home as souvenir. The friendly chef himself came to say hello at our table and we had the chance to compliment him on his amazing culinary skills. Would love to dine at Olio again! Good experience and value! Would recommend to anyone who hasn't tried Sicilian before. We enjoyed the food, cocktails and ambience on the night. The Olio branded olive oil for the bread was delightful and the food and presentation was lovely. The main thing I'd like to comment on about the food was that our mains of Wagyu sirloin and seafood stew (Zuppa) was quite salty. Another thing is we couldn't use the First Table voucher for the chef's set menu but this wasn't stated in the conditions. Overall the meal was delicious and we had a nice night but service could do with some improvement. Olio restaurant provided great food combine with attentive staff. The ambience was pleasant and the entire experience was enjoyable. The chef came to check on us which added an extra touch. We will be back. We dined here for lunch on Saturday. The venue is lovely and has that industrial look to it. They were very large portions of food. We have an entree and main but couldn’t fit any dessert. The food was good but not stand out in my opinion. I would have been disappointed if we’d paid full price. I think full price is far too expensive for what I consider to be relatively straight forward Italian. I would choose to come here again as there are so many other great places in Sydney. 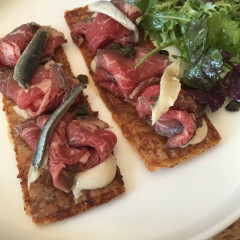 This was my second time dining at Olio and was very much looking forward to it. Service and atmosphere was great. We ordered the prawns special, which came out under cooked (translucent in texture) very disappointing. However the main of pork belly and lamb neck were phenomenal. Ordered a cocktail which came out half filled with 50% being egg white foam.. not impressed. Ordered the granita and fruit, menu had a different flavour to what arrived at the table, waiter should have advised us of this rather than being surprised with a dessert we didn’t order. Overall a few areas to improve on, but would be back. Great service from the moment we arrived until we left, very attentive and friendly staff. Superb food as well, we had the carpaccio and prawn ceviche to start and two pasta dishes for main - everything was amazingly well presented and tasted superb. Lovely venue as well, very funky decor and perfect for romantic dinners! 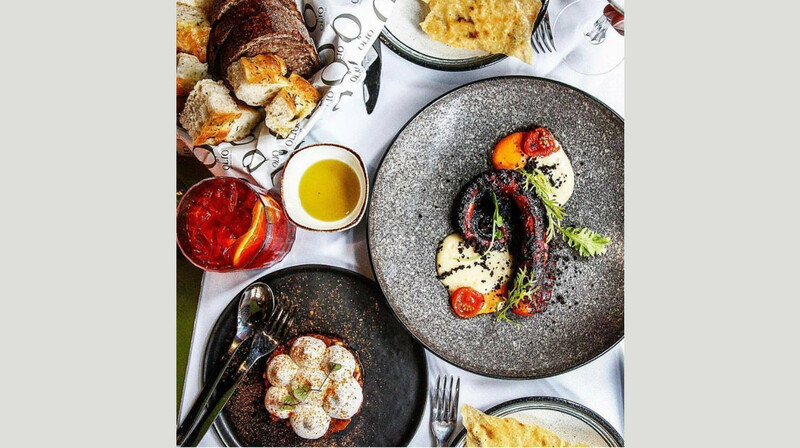 We had a lovely experience dining at Olio. The staff were amazing and very hospitable, We even received a complimentary starter which made us feel special from the beginning. The food was amazing, we especially loved the pork belly - we will definitely go again. Highly recommend! Absolutely sensational food, delicate flavours, ell-dressed salad, broccolli had a bit too much chilli but everything else was superb. We will definitely go again. Service was great and food was amazing. Highly recommend! Delissimo!! An Italian jewel in the heart of Chippendale! Tender octopus and mouth watering pasta dishes. Fabulous service. An all round memorable experience and all the better when you use First Table! What a lovely first table experience. The service was excellent, good food, and the food bill left us feeling very happy and talking about our next visit. The whole experience has been great, from food to service. The environment is very pleasant, we had a perfect dinner! Highly recommended - authentic italian food and great selection of wines. The food was incredible. Delighted to be introduced to the Olio menu with a taster from the Chef of scallop tartare with a crispy rice puff. We perused the menu to find our favourites or something we hadn't had before. We ended up with incredibly tender octopus with the perfect amount of char and delightful razor prawns marinated and gently torched, also tender but not for someone who is squeemish about texture. As it was a special occasion we were recommended the whole Salt Baked Snapper and weren't disappointed. Cracked open and served at the table presented simple, clean subtle flavours and sides. The waitress was curteous and attentive to begin with and would have benefited from being a little more informed of the wines available for the evening before taking our first selection. The Soave was incredibly delicious. Olio stood up to its reputation and has left us with memories of incredibly tasty food. It was an absolute pleasure to dine there. This was my second visit, and took two friends for a dinner last night. We absolutely enjoyed all dishes we ordered, and were most appreciated with its service as well. Certainly we will go back near future. Delicious food, wonderful service, fantastic atmosphere. Had a wonderful night, thank you!! Went here for our sons 18th birthday, fantastic food, service and setting will definitely be going back. Thank you to all at Olio. The atmosphere and decor of the restaurant was warm and lovely. The food was rich and decadent. We left very content.